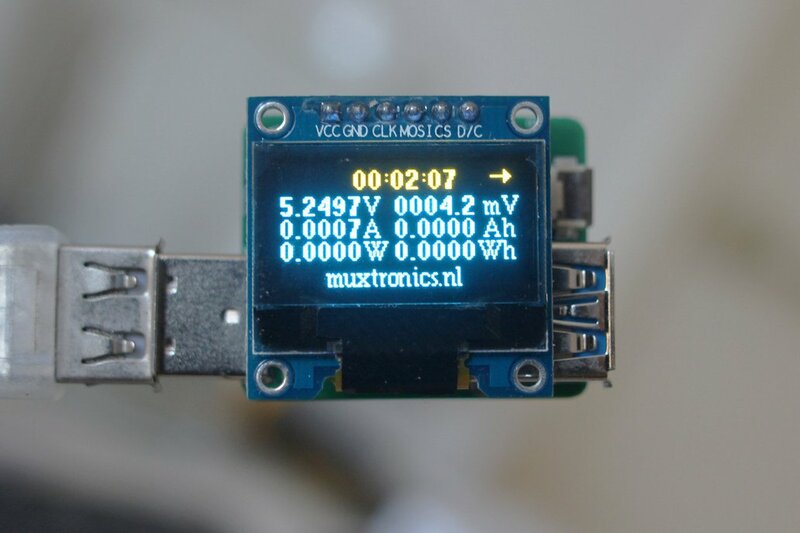 Hey, wait a minute - there are much cheaper USB power meters on the market! What makes yours so special? Well, it's actually accurate. You see - most USB power meters have measurement errors of 5% or more - and they often only display 3 significant digits. This is of course fine for just checking roughly how much power something is drawing, but for accurate energy measurements (e.g. debugging mobile apps, seeing how much power they draw over a longer period of time) you have to use tools that have well-defined accuracy specifications. This is your tool. 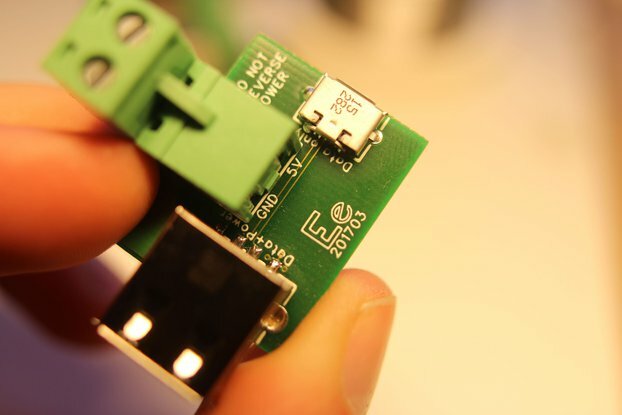 Even if you don't necessarily want to measure USB devices, you can use it for anything else, as long as the voltage stays between 4.1 and 20V. I have a useful little adapter board to tie this product to a removable terminal block. If you want to use this product as a nice development board for the ATSAMD09D14A (with a snazzy OLED and some decent analog frontend circuitry), you can additionally buy the SWD to ribbon converter ($5 add-on) so you can use your Segger J-Link or other SWD debugger to program and debug the microcontroller on this board. Binaries of the default firmware are available. This is a USB type-A modification of my USB type-C power meter. Usable as a general purpose power meter - use my USB power/data merger to easily connect to a lab power supply! Typically takes 2-6 weeks to deliver Tracking only applies to: Entire EU, Russia, Cyprus, Japan, Saudi Arabia, South Korea, Singapore, Croatia, Taiwan (Chinese Taipei), Gibraltar, Malaysia, Turkey, Malta, United Kingdom, Hong Kong, China, Moldova, United States of America, Nigeria, Switzerland, Indonesia, Iran. Other countries may have no or partial tracking. If you wish to have you package tracked up to your destination and you do NOT live in the EU or one of the countries listed above, please contact me. Next-day delivery in most countries! Comes in 2 board to stack. No instructions but very obvious what to do with it. Well packed and quick shipping. 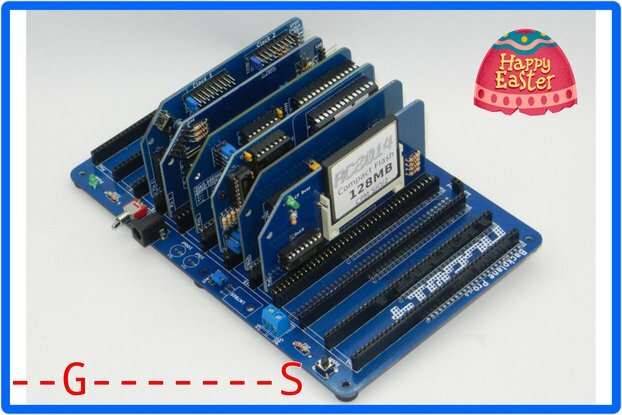 I trust the data from this unit much more than the ultra low-cost Asian USB power meters when doing low power designs for the home electronics enthusiast. 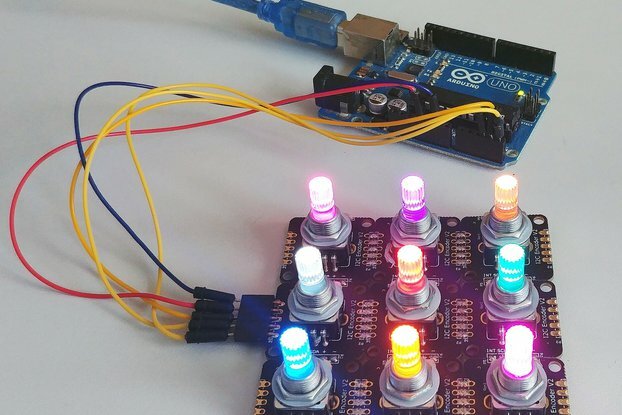 The 5-digit output lets you really test micropower circuits. Nice board! There was an initial misunderstanding about shipping which the seller promptly responded to and explained. I needed to measure power draw for multiple USB devices and USB-powered SBCs and this does the job admirably. It was well packaged just right, the OLED screen and USB meter arrived with zero issues. It has a timer on top that tells you how long the device has been powered and displays current consumption in Ah and Wh and lots more! The only thing I wish it had was a way to invert the display.. when plugged in to my monitor's left side USB ports the display is upside down.